What is the reason for same? People come here under the scrutiny of Western scholarship and the disdain they feel for our local scholarship. Like colonial Masters, they feel that we know nothing, and they know everything. And yet we find blunders after blunders in their insight based on political motives as well as bigotry of the highest order. Any work really can be checked in a simple way. For instance they have a laboratory in Switzerland where they can scan the works and analyze the pigments and can find the age of most things. Why the obvious fakes are not subject to the scientific test? There must be a reason for same. Of course our connoisseurship has gone down the drains too. Scholars here free of greed worked day and night to carve their name in the history of insight and scholarship. But here too a total disregard of the arts started and the present Government even abolished the Ministry of Culture. I am sure we could one day have a ban on Art and Culture, if the Mullahs really get through our veins. We too have lost the ability to observe and look at the finer points of most things. M.A. Rahman Chughtai, the grand Son of the Soil was made of another matter totally. He did not practice Art, but he actually lived ART. All his life revolved around Art in some ways. He need not look at Art of this region, he could feel the Art in his veins. 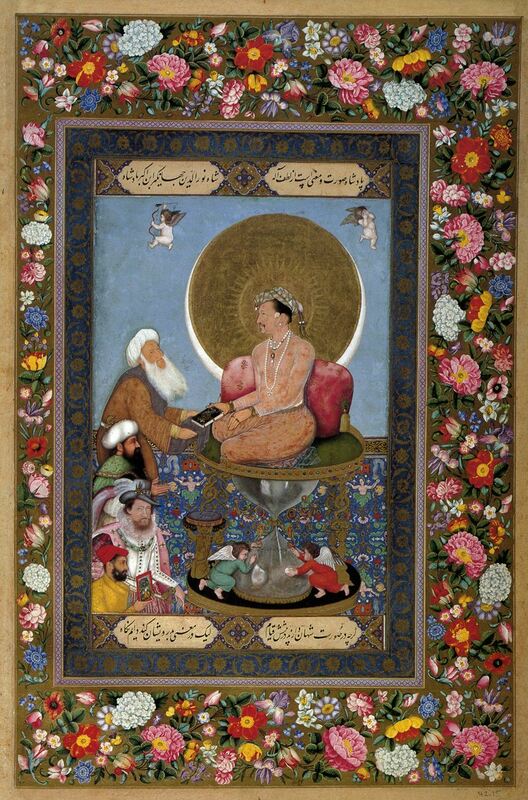 He could spell out likr Emperor Jahangeer the inner point, the finer issues and the background of each work, down to the details, of which portions were by which artists. Observation was that acute. M.A. Rahman Chughtai was irritated with a numberof fakes floating in the Western world, a result of 19th and 20th century Jaipur Artists, made for the dealer GUZDAR in Bombay. To this day various albums touted as Mughal albums contained many fakes like these. 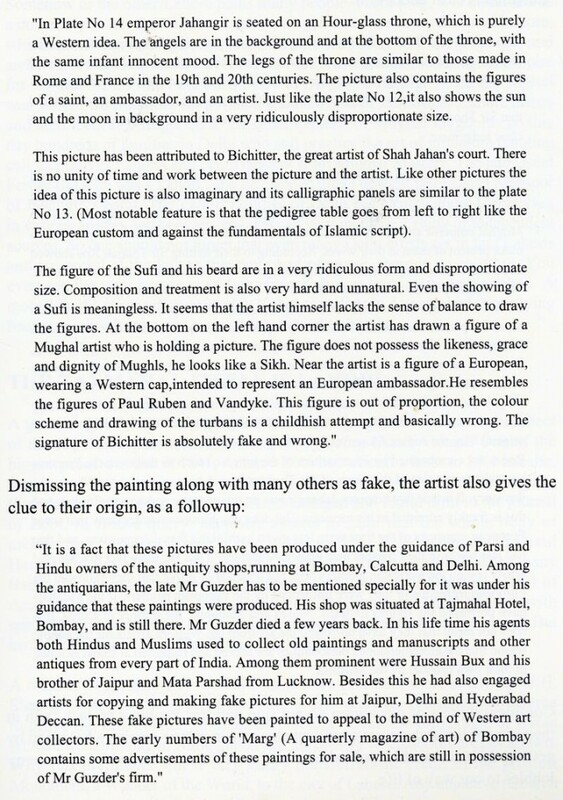 The artist Chughtai explained things in detail in his book THE HOUSE OF TAIMUR AND OTHER ARTICLES (1970). We can narrate his judg’ment here, and one can check the attachment we have here. For the full account read the book THE HOUSE OF TAIMUR. Copy can be obtained from us at request. Suffice one can get the idea from the paragraph attached with this writing. Good luck in your analysis. Start having confidence in your own observations. The artist did send his book to Oleg Grabar and we have a reply from him. In all ways Oleg Grabar was a great scholar but even he, turned a blind eye to all this revelation. Reasons unknown?